We live in a world characterized by intolerance, war, environmental degradation and economic collapse. In contrast, might it be possible to build a society in which tolerance, love and peace are the abiding principles? In this positive and inspiring book Danielle van Dijk shows how, beginning with our personal development, we can contribute to such a new, transformed world. 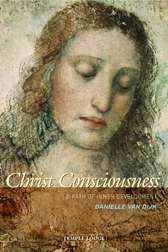 She describes how we can develop a universal spiritual consciousness - what she refers to as 'Christ Consciousness'. Van Dijk emphasizes that the Christian mysteries took place on the physical plane, and distinguishes with great clarity between Jesus as a human being, the incarnation of Christ on earth, and the cosmic Christ. She builds bridges between the spiritual research of Rudolf Steiner, the Nag Hammadi writings and the gospels of Mary Magdalene and Judas, culminating in a comprehensive and wide-ranging picture of Christ. By gaining insight into the nature of Christ's being, and undertaking practical exercises described here, each of us can achieve the new Christ Consciousness. In ancient times, selected individuals underwent rites of initiation within secret mystery schools. Disclosing the knowledge obtained there was punishable by death. In our time, however, the spiritual mysteries have become open and available to all. Initiation, says the author, involves 'walking the inner path to all-embracing love, which is known in gnostic and esoteric lore as Christ, the highest divine Being', leading to 'a sublime cosmic-orientated consciousness, which comes into existence when the higher self wholly exists within the individual human being. DANIELLE VAN DIJK, MA, has taught literature, philosophy and ethics at the Steiner Waldorf school in Zeist, Holland, for more than 30 years. During this time she has also made an intensive study of Christian esoteric teaching and anthroposophy.